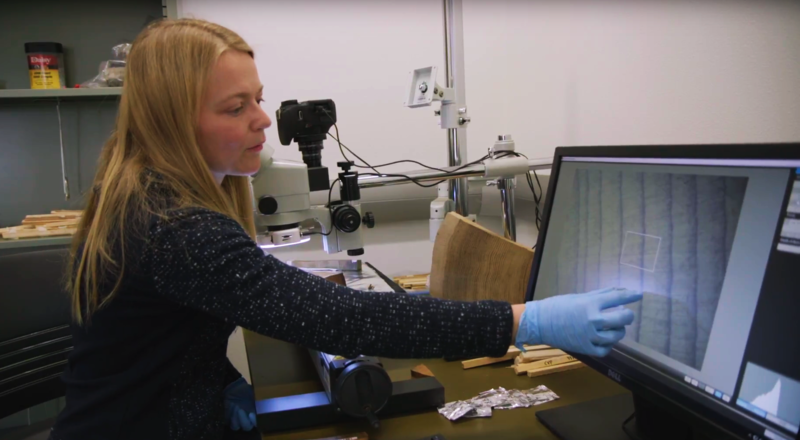 A recent UA News article highlights the work of Charlotte Pearson, whose work involves the latest intersection of tree-ring dating and radiocarbon dating. Fifty years ago tree-ring dating corrected the radiocarbon dates derived from some naive assumptions (most significantly that the concentration of ¹⁴C in the atmosphere had been constant over time), showing that dates thousands of years in the past were really centuries older than they appeared. Subsequent work confirmed that there were shorter-term fluctuations ¹⁴C that (wiggles) could help or hinder accurate dating at certain times, and gave rise to a new technique for refining radiocarbon dates with relative tree-ring dates (wiggle matching). The recent discovery of very large, almost instantaneous increases in ¹⁴C hasintroduced yet another revolution in radiocarbon dating, and Pearson's work is helping contribute to this new understanding, and apply it to important problems of archaeological dating.